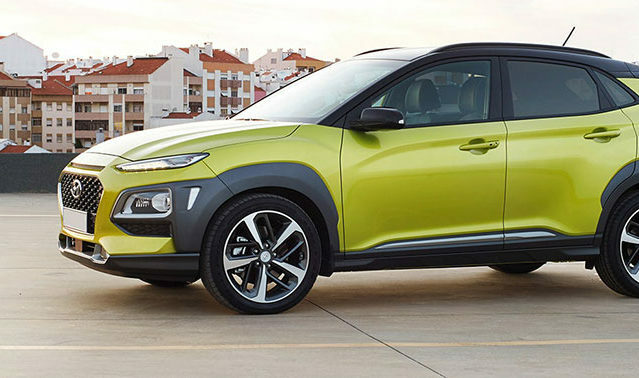 The all new Hyundai Kona small SUV is coming to John Hughes Hyundai in Perth this October. To be among the first to hear more, press “Send Enquiry” at the top of this page. A departure from the boring, unimaginative and anonymous styling of most SUV’s rolling through our suburbs, the Kona looks as fresh as a crisp Spring morning. It has the substance to match the fresh style too, including the latest technology in connectivity, entertainment and active safety. Your Kona can be “Your” Kona more than any other car can be, personalise it just like you do the other things in your life. You don’t just buy the outfit on the mannequin in the window do you? Firstly it’s available in colours that are actually colourful – although it does look great in white or grey too. Just what other colours you ask? Think Pulse Red, Tangerine Comet, Blue Lagoon, Ceramic Blue, Acid Yellow, Dark Knight, and Velvet Dune to name a few. The roof and pillars can also be painted in contrasting colours to the rest of the body giving you a great variation between the body and wheels. The mix and match colour choices continue on the interior where you can add highlights to a number of areas to match the body colour of your car. Seat stitching and piping, gear stick surround, air vent surrounds? Sure, of course you can have them in that same shade of Pule Red. Let’s stay on the inside for a moment longer because this is where Hyundai have really worked some magic. Hyundai are claiming class leading interior space – this is in a class including the Mazda CX-3, Toyota C-HR and Honda HR-V. Despite being roughly the same size as the CX-3, the Kona offers considerably more leg room and head room in the rear. The boot space is impressive also, often a falling point in this class, giving more than enough space for all but the very largest of items, but then you can fold the seats flat when that day arrives. 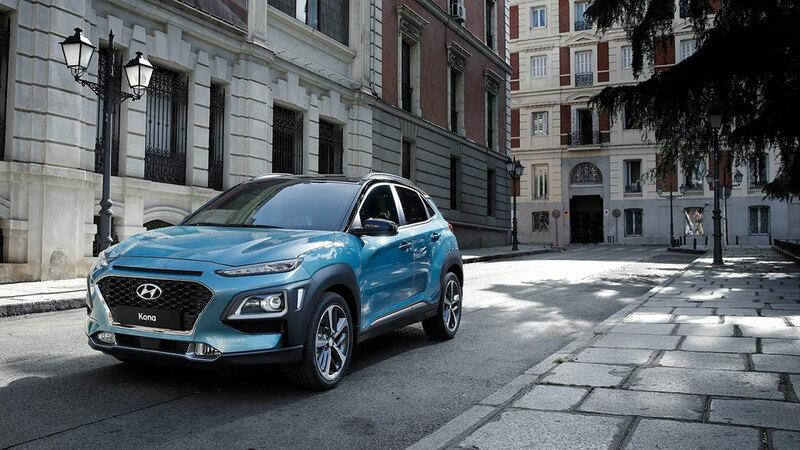 Leading the charge on the entertainment front and falling in to line with the rest of the Hyundai range, all Kona models include Apple CarPlay and Android Auto, combined with a 5, 7 or 8 inch touch screen depeding on how you option your car. Higher spec models also include wireless phone charging – a first in this class – while all models receive the excellent head-up display, providing you with essential navigation and speed information while keeping your eyes on the road. There are plenty of other features to keep you safe on the road as well. Forward collision avoidance with autonomous emergency breaking will held you avoid most lower speed accidents. Further features include lane keep assist, high beam assist, driver attention monitor, and blind spot monitoring with rear cross-traffic alert. The Kona is available in both front wheel drive and all wheel drive and with either a six speed automatic gear box or the latest 7 speed DCT, while power comes from a choice of two petrol engines, the higher specification engine bringing turbocharger for better performance while keeping great fuel economy – the best of both worlds. Geared towards being a bit of fun to drive, you can be sure both engines will have adequate punch and a sporty note to spur you on. Full details on pricing, options and specifications are still to be confirmed for the Australian market. To read what an early test drive review of the Hyundai Kona looks like read the Kona review here. To be among the first to hear more, press “Send Enquiry” at the top of this page. 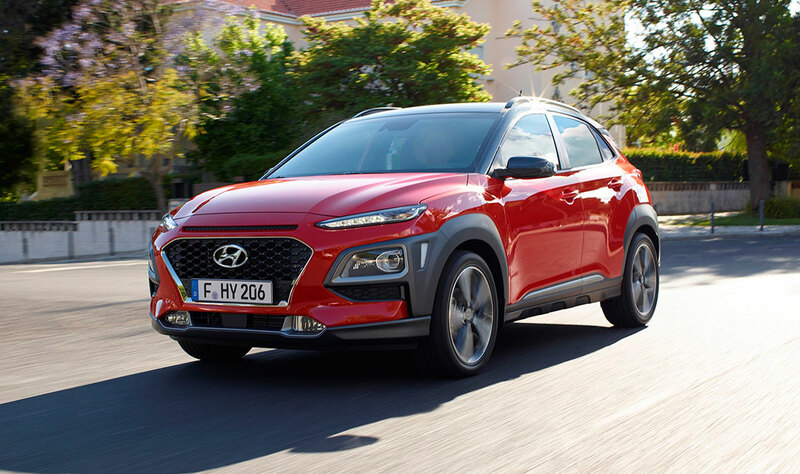 To learn more about the all-new Hyundai Kona visit our dedicated vehicle page and book in a test drive today!